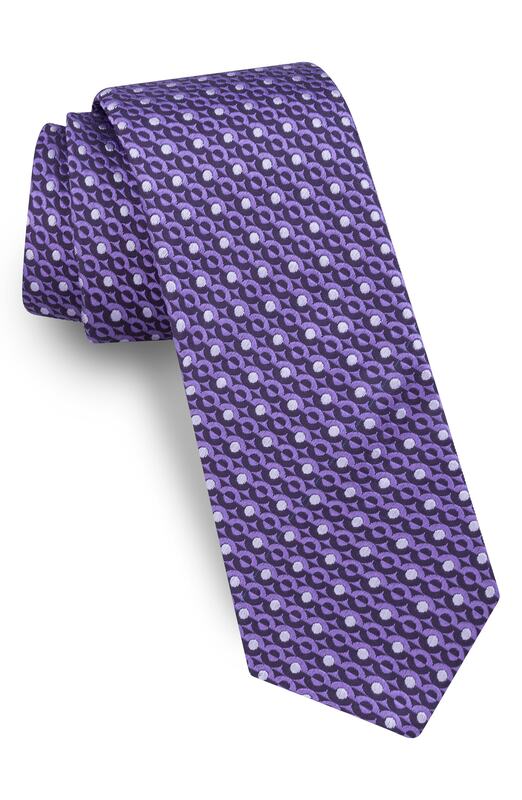 Try pairing a blue blazer with a Ted Baker London violet polka dot tie to be both knockout and relaxed. 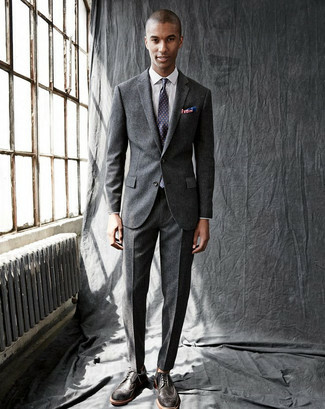 If you're looking for a casual yet seriously stylish ensemble, make a charcoal wool suit and a Ted Baker London deco geometric silk tie your outfit choice. As well as super comfy, these items look great when paired together. Wearing a pair of dark brown leather brogues is an easy way to add extra flair to your getup. 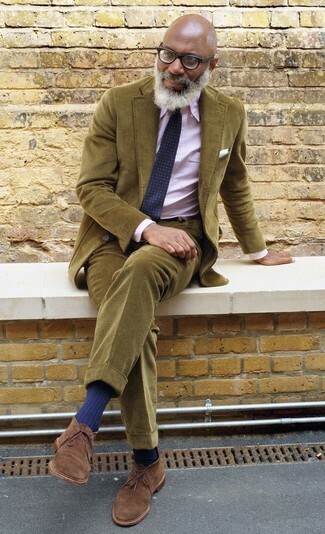 Pair an olive corduroy blazer with a Ted Baker London deco geometric silk tie to be both neat and relaxed. Up the cool of your outfit by wearing brown suede desert boots.